Scripps Network Interactive (SNI), a leader in cable television network, advancing digital media platforms, publishing, and a developer in lifestyle programming across multiple communication mediums. Specializing in lifestyle content through cable networks, such as The Cooking Channel, The Travel Channel, and HGTV. The company also has minority interest in regional sports network, FOX Sports Net South, and internationally, with a significant stake in the United Kingdom television broadcaster, UKTV. The company has made significant strides in branding their own products, such as Food Network Kitchenware, and by teaming up with well-known brands, such as, HGTV Home by Sherwin-Williams. SNI began as a Cleveland, Ohio The Penny Press, started in 1878 by Edward W. Scripps. The newspaper had increased post-war publishing success, and the Scripps Company moved toward the business of locally operated television. Prompted by the desire to not depend on advertising revenue , the company established itself in cable; buying and building television systems. By the 80s, the company’s reputation was one of America’s largest cable operators. Innovations in technology began to excel in the 1990s, and the Scripps Company began to immerse themselves even more within cable television. Scripps began building the company further by purchasing Cinetel Productions, a Knoxville, Tennessee based cable programmer, and shortly after announced the launch of the Home and Garden Television. Taking the first steps with HGTV, the company began to carve out a defined reputation formed around lifestyle programming. Now a leading media enterprise, that still publishes magazines, SNI has a significant presence in television broadcasting, as well as a strong hold over the advantageous ways of the Internet in interactivity, marketing, and accessibility. The current President of Scripps Network Interactive is John F. Lansing. The current Chief Executive Officer (CEO) of the Scripps Network Interactive is Kenneth W. Lowe, and who is credited for building the company into the success brand it is today. The Chief Financial Officer (CFO) is Joseph G. Necastro. The major brands of SNI include variety and insights to approaches in lifestyle. The Networks first major brand is Home and Garden Television (HGTV), which is a leader in home and lifestyle television programming. Some television shows include House Hunters or Kitchen Cousins, which include remodeling, refurbishing, and decorating households by expert designers. HGTV products are sold, from home decor for bathrooms and bedrooms, to advice from professional interior designers and landscapers. Along similar lines of home decoration and improvement, the brand Do It Yourself (DIY), which provides ‘How To’ descriptions and videos for household renovations online. 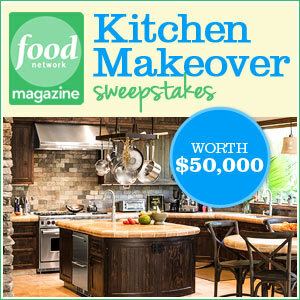 Food Network, includes Chef’s advice, recipes, entertaining tips on decorations as a host, and restaurant recommendations online and in their subscriber magazine, Food Network Magazine. Popular television shows include The Next Iron Chef, a competitive culinary showdown that selects the next best chef to take the honorable position and title of Iron Chef. Renowned chefs and recognizable personalities are also associated with the network, such as Giada De Laurentiis, with her own show, Giada at Home. Other popularized personalities include the likes of; Mario Batali, Rachel Ray, and Paula Deen. The Great American Country is a brand of the Scripps, which broadcasts country music entertainment, such as live concerts and country artist music videos. Television programming consists of shows like, Great American Heroes, hosted by country singer and philanthropist Trace Adkins, as well as the show Living Countryfied, which highlights food, festivals, and traditions across the nation. The Travel Channel is another brand that explores the world at large; from hotel booking and destination advice, to VIP Sweepstakes Vacation Prizes, the brand ultimately brings different cultures and places to the consumer. Television shows include writer and chef Anthony Bourdain’s, No Reservations, as well as the competitive show, Man vs. Food with Adam Richman. Whether an individual needs to take a business trip in a city they’ve never been, or one would like historical tour of a European city, the network provides rankings and reviews for the latter. The network has introduced The Layover App, for iPhones, iPads, and iPod Touch, which provides consumers with the ability to plan their trip on-the-go, equipped with maps and timelines anywhere: the ultimate travel guide. The app coincides with The Layover, which premiered this fall. Some of the company’s top competitors are NBCUniversal Media, LLC, Discovery Communications, Inc., and MTV Networks Company. The company is extremely involved in the community. One effort is through the national partnership between the company and Share Our Strength. The organization aims to end childhood hunger in America by ensuring healthy food every day. In 2011, Scripps provided 3.5 million meals to children at the risk of hunger, as well as invested $20 million dollars in educational and entertaining promotional value for healthy eating. Rebuilding Together. Scripps also pledged $15 million dollars in 2011 to support the program Rebuilding Together, in which provides extensive home rehabilitation and modification services to homeowners in need. The partnership aided in the completion of 10,000 construction projects. Some other partnerships that the company has solidified are; American Cancer Society, Big Brothers Big Sisters, and Environmental Media Institution. David D. Smith, President and CEO of Sinclair Broadcast Group, Inc.
David D. Smith: President, Chief Executive Officer, Chairman of the Board and Director – David D. Smith has held his position as President and CEO since 1988. Prior to working for Sinclair he founded Comark Communications, Inc. He played a very important role in the creation and success of Sinclair Broadcast Group, Inc .
Sinclair Broadcast Group started out as one station in Baltimore, Maryland. The original station was created in 1971 by Julian Sinclair Smith, but it wasn’t until 1986 that his four sons came up with the idea of the Sinclair Broadcast Group. After only 10 years Sinclair Broadcast Group became the largest commercial television broadcasting company not to be owned by a network in the country. Sinclair Broadcast Group faced some rough times during 2001, but was able to make it through and by 2006 had become the largest FOX and MyNetworkTV affiliate groups. They also became the second largest ABC affiliate and the third largest affiliate for the CW network in the United States. The success of Sinclair Broadcast Group in the past is not surprising when looking at their continued success in 2012 . The Sinclair Broadcast Group, Inc. is headed by President and CEO, David Smith. David Smith has been President and CEO since 1988 and has contributed exponentially to the company. He has also served at Chairman of the Board since 1990. He has helped build Sinclair Broadcast Group since the start of the company. As one of the leading television broadcasting companies in the United States, Sinclair Broadcast Group manages 74 television stations within 45 markets. The broadcasting company includes FOX, ABC, CW, CBS, MTV, NBC, MyTV, and Azteca affiliates. Sinclair operates 20 FOX stations, 18 MyTV, 11 ABC, 14 CW, 9 CBS, 1 NBC, and 1 Azteca. With these networks Sinclair is able to reach about 26.3% of households in the country . Sinclair Broadcast Group, Inc. continues to grow in size and range. They reach a large amount of households in the country and continue to increase the number of people that they reach. August 13th, 2012 Sinclair Broadcast Group’s retransmission consent agreement with Dish Network was about to end and the two companies were in talks to either create a new one or Dish would stop carrying some of Sinclair’s stations. To be exact if the companies did not create a new retransmission consent agreement Dish would stop broadcasting 70 of Sinclair’s stations. Later Sinclair Broadcast Group announced its agreement with Dish Network to create a new retransmission consent agreement . September 19th, 2012 Michael Simon was named Director of Advanced Technology for Sinclair Broadcast Group. Previous positions include Manager of Advanced Technology for Rohde & Schwarz, Lead Application Engineer for Harris Corporation, and Chief Engineer for Sinclair’s Pittsburgh market. In this position Mr. Simon will be in charge of developing new technologies to further advance the broadcasting company’s business. Sinclair’s Vice President of Advanced Technology, Mark Aitken said that, “Sinclair is probing the fundamental technologies that will enable us to leverage future business-enabling technologies,” which Mr. Simon will contribute to greatly [5.1]. October 12th, 2012 Sinclair Broadcast Group decided to close their previous contribution of $500 million of senior unsecured notes. By closing this offer, Sinclair Broadcast Group used the profits to then buy multiple stations from Newport Television LLC. Also, they intended to use the profits from this to pay off outstanding debt and for other company purposes [5.2]. November 13th, 2012 Sinclair Broadcast Group announced an exciting partnership with DataSphere Technologies. DataSphere Technologies is a marketing company that focuses mainly on local businesses to help them gain exposure. The two companies made an agreement that Sinclair will promote event calendars, and small business marketing solutions over 21 of their markets in the country. This partnership is important for both DataSphere and Sinclair. It offers DataSphere an opportunity to promote their services and get more business. The deal offers Sinclair a way to connect with local businesses in their markets and get advertising for their stations and website . December 1, 2012 Sinclair Broadcast Group has obtained several more stations, while also getting rid of some of its previously existing stations. Through their deal Sinclair gained 6 new stations from Newport Television LLC. Along with the stations Sinclair also purchased Newport’s rights under the local marketing agreements with two stations. Sinclair also obtained Newport’s non-license assets for their station in Rochester for $54 million. While gaining stations, Sinclair also sold some of its preexisting stations. Sinclair made a deal with Deerfield Media, Inc. selling them their station in San Antonio and Cincinnati. Sinclair also sold them license assets to two of their stations. With these stations gains Sinclair added stations to four markets that they presently existed in and added two new markets to their business. The total deal cost them $459.7 million . In Sinclair Broadcast Group, Inc.’s quarterly numbers, they are doing significantly well this year. Their total revenue over a three-month period this year was $260,489 as opposed to last year’s total revenue of $181,042. Also their total revenue over a nine-month period increased between this year and last year as well from, $552,511 to $736,817 . In November the Board of Directors at Sinclair Broadcast Group, Inc. stated that the company’s Class A and Class B stock will have a $1.00 dividend per share and a quarterly dividend of $0.15 per share [5.3]. Also the company announced that for the third quarter of this year the earned $0.32 per share. This earning did not, however, match the estimated amount of $0.35 per share . With their newly obtained stations Sinclair Broadcast Group, Inc. plans to keep expanding their hold on television broadcasting. The company is well versed in the television broadcasting business and they understand what they need to do to stay successful. Their revenue numbers show increased success throughout the fourth quarter. The company’s stock from the last month has decreased but over the course of this year it has stayed steadily in the same region. Sinclair Broadcast Group, Inc. has been a strong company since its humble beginning as one station in Maryland. There is no doubt that Sinclair Broadcast Group will continue to be a major player in the television broadcasting spectrum.